When Wilder‘s beloved grandfather dies it kicks off a series of events. 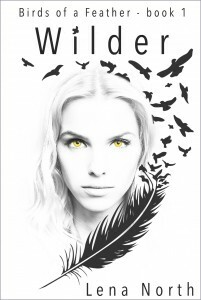 Wilder discovers that her father isn’t the slick, unpleasant man her mother was married to. Her father is Hawker Johns, a man with an ancient legacy and a group of men and women around him that uses all their abilities to protect the world around them. 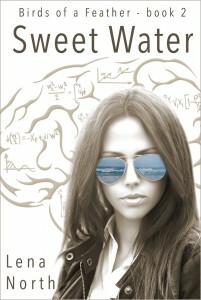 Then Wilder’s genius friend, Jiminella “Jinx” Sweetwater, moves to Marshes, to get away from a life she can’t handle anymore and to work on the crystal Wilder found in the mountains. When Jinx is attacked she has to trust in herself, but also in Dante, the man who has held her up through her struggle to cope with everything. 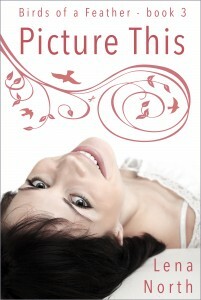 The next book in the series is Picture this, telling Mary’s story about being resilient even if life just keeps slapping you in the face. It’s a story with humor and heart about being kidnapped, falling for the wrong man, and finding a place to call home. Snow has secrets that she doesn’t share, not even with her beloved cousin Dante, but in Black Snow they slowly come to the surface and she’s forced to deal with them. Then those causing the group around Hawker Johns a lot of trouble strikes; hard, and close to Snow in ways she hadn’t expected. The series end with the story about Annie and the Reaper. Annie comes to Wilder’s ranch Double H, wanting to help out but also with a lot of secrets of her own. As they get closer to the one wanting to destroy them all, everyone has to work together to end all bad things that happens, but there are unexpected sacrifices that has to be made.